Don’t be a dirty rotten scoundrel! Clean up your act with scrubby sea salt, fresh thyme and tingly peppermint. Thymol and mint make your skin feel icy cold in the hot shower, a revitalizing burst of awesome sure to excite your senses and focus your thoughts. Directions: Get naked, hop in the shower and lather up. If you’re in a hurry (or just a little lazy!) this shower gel make an excellent shampoo in a pinch. This was not a purchase for me, but for my boyfriend. I havenâ€™t used it so I canâ€™t speak on how it performs, but the value is decent seeing as the Lush shower gel that this is similar to is more expensive. 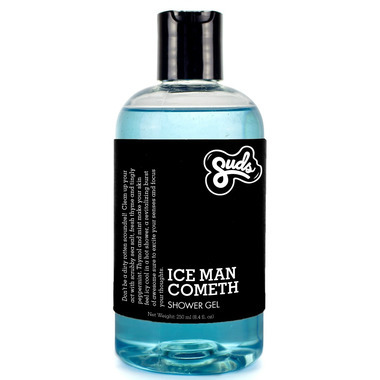 I love that it is cruelty free, but Iâ€™m not a big fan of the scent which is surprising since I love that minty smell. I havenâ€™t heard any complaints about it though, so do with that information what you will.